Full Service Florist. Satisfaction Guaranteed. Your neighborhood florist since 1924. Specializing in unique and custom arrangements. If you can imagine it, we can create, design, and deliver with a smile. Twin city world wide and express deliver available. Centrally located to Minneapolis hospitals and funeral homes. Full Service Florist. Satisfaction Guaranteed. Family owned and operated for over 25 years. We are dedicated to excellence in service and design. Specializing in high style custom arrangements. Something for everyone's taste and budget. Serving all hospitals and funeral homes. We won the peoples choice award for 2008!!! 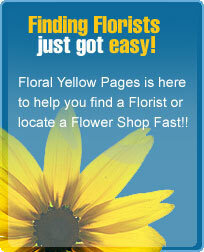 We are voted the BEST florist in our community for years in a row. Full Service Florist. Satisfaction Guaranteed. Family owned and operated since 1905. Specializing in unique and custom arrangements. Phone orders 24 hours. Our goal is to exceed our customers expectations with quality, care, and professional service. Flowers for all occasions and budgets. Serving all hospitals and funeral homes. Full service florist. Satisfaction Guaranteed. Family owned & operated for over 17 yrs. If you can imagine it, we can create, design, & deliver with a smile. Our professional arrangements can express what words can never say. Something for everyone's taste & budget. Serving all hospitals & funeral homes. Full Service Florist. Satisfaction Guaranteed. Family owned and operated for over 25 years. Specializing in unique and custom arrangements. Something for everyones taste and budget. We deliver to the entire metro area. Serving all hospitals and funeral homes. Weddings and events also.